Jarle Ebeling is a researcher at the Faculty of Oriental Studies, University of Oxford, specializing in corpus linguistics. This book brings together pioneering studies on the world’s oldest literature, composed in the extinct language Sumerian and written on clay in the cuneiform (wedge-shaped) script. All the contributions are based on the Electronic Text Corpus of Sumerian Literature (ETCSL), a project of the Faculty of Oriental Studies at Oxford University whose focus is on the best documented period of Sumerian literature, compositions recorded some 4,000 years ago in southern Iraq. The ETCSL consists of transliterations and translations of nearly 400 compositions and is accessible via the Internet. It is the only linguistically annotated and translated corpus of an ancient Near Eastern language. Each of the main chapters in the book uses the ETCSL to approach a specific question relating to one or more compositions in the corpus, exploiting the possibilities the corpus offers for quantitative research and statistical analysis. 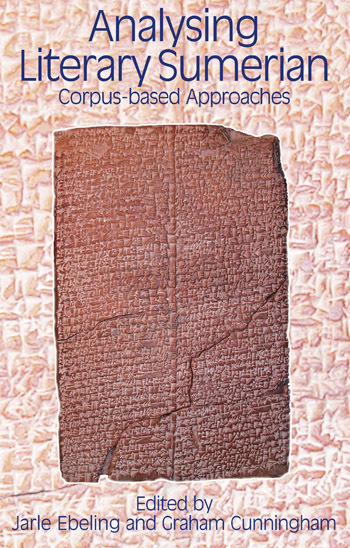 In addition to these case studies, the book includes introductions to Sumerian literary language and corpus-linguistic approaches to research, as well as a catalogue of compositions. The material, methods, and results will appeal to those interested in Sumerian, ancient literature, and the analysis of languages using a corpus. This book brings together pioneering studies on the world's oldest literature, composed in the extinct language Sumerian and written on clay in the cuneiform (wedge-shaped) script. All the contributions are based on the Electronic Text Corpus of Sumerian Literature (ETCSL), a project of the Faculty of Oriental Studies at Oxford University whose focus is on the best documented period of Sumerian literature, compositions recorded some 4,000 years ago in southern Iraq. The ETCSL consists of transliterations and translations of nearly 400 compositions and is accessible via the Internet. It is the only linguistically annotated and translated corpus of an ancient Near Eastern language. Each of the main chapters in the book uses the ETCSL to approach a specific question relating to one or more compositions in the corpus, exploiting the possibilities the corpus offers for quantitative research and statistical analysis. 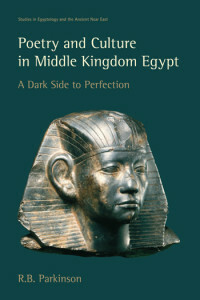 In addition to these case studies, the book includes introductions to Sumerian literary language and corpus-linguistic approaches to research, as well as a catalogue of compositions. The material, methods, and results will appeal to those interested in Sumerian, ancient literature, and the analysis of languages using a corpus. Sumerian as the object of traditional philological study; Sumerian as a spoken and obsolescent language; Sumerian as the object of linguistic study; Diachronic variation; Synchronic variation; Concluding remarks and the way forward. This chapter describes the corpus of the Electronic Text Corpus of Sumerian Literature (ETCSL) in detail. 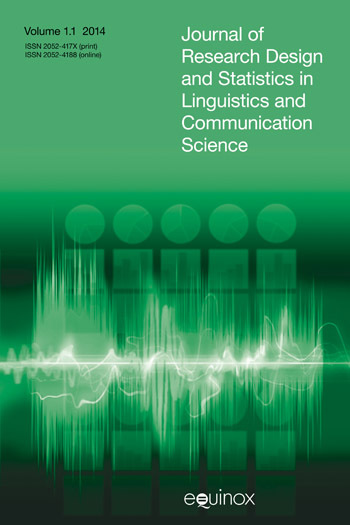 It draws attention to some key aspects of corpus linguistics and performs a small experiment on one of the composite texts of the corpus to argue for the use of computer-assisted methods in the study of literature. This chapter applies the methods of Stubbs and Marth (2003) — the study of recurrent word chains as text-type discriminators — to the vocabulary of literary Sumerian. It also aims to introduce the corpus linguist to important aspects of Sumerian and to introduce the Sumerologist to corpus approaches. This chapter’s principal focus is on frequent collocations — word sequences — which include ni2 , and belong to the semantic domain of fear, examing their meaning, cultural significance and distribution. This analysis raises other issues which are discussed more briefly. This chapter focuses on one of the grammatical morphemes of Sumerian — the pre-verbal element /n/ — whose grammatical function continues to be called into question from time to time. The chapter introduces a new methodology for approaching this question. This chapter takes a systemic-functional approach (Halliday and Matthiessen 2004) and focuses on a particular type of multiword verb, referred to in the literature as ‘double compound’. A short introduction to systemic functional grammar is also supplied. This chapter explores the significance of animals in references to the deities in Sumerian literature, focusing on one type of imagery — the bull metaphor. It uses the ETCSL to examine frequencies of the images. This chapter examines images of literacy and numeracy in curricular literary Sumerian (scholastic genres) to reveal how literary characters were portrayed to trainee scribes and thus how those trainees might have constructed the ideals and mores of their profession. This chapter concentrates on the elemen nam which when functioning as an affix, it will be argued, exhibits characteristics of prototypical derivational affiixes such as polysemy and productivity, and the corpus data is analysede in light of these concepts. This paper attempts to adapt and apply some of the analytical techiques used in the field of corpus linguistics to a sub-corpus of ETCSL, comrprising the Sumerian proverb collections. Both quantitative measures and intuitive observations are employed. This paper aims to describe the variations in the syntactic construction of the multiword verb igi bar ‘to look at something/somebody’. The paper includes two Appendices which present the evidence on which its conclusions are based, which are that the grammatical variations of this expression can be accounted for by referring to influence from Akkadian i.e. the akkadization of Sumerian. This catalogue is adapted from Miguel Civil’s unpublished work. It forms the basis of the Electronic Text Corpus of Sumerian Literature (ETCSL). It comprises an annotated record of literry compositions written on sources dating to the period from approximately 2100 to 1700 BCE. In most cases the catalogue provided here does not include information on primary sources.